Forrest Nichols, a chemistry major graduating in June with a minor in biology has been investigating an alternative catalyst that could be used in fuel cells and next generation vehicles. Students involved in individual research projects across multiple disciplines will be celebrating their findings June 9 at the inaugural Koret Scholars Undergraduate Research Slam. The year-end event will feature poster presentations about topics as diverse as a protein link to heart disease, female authorship in science fiction and horror genres, and the qualitative impact that research opportunities can have on the undergrad experience. The greater community is invited to attend the free event, which takes place at the McHenry Library and caps off Student Achievement Week (June 5–9). Students will be on hand during a reception and to talk about their projects. Last year, 50 students were accepted into this new undergraduate research program funded by a $1 million, three-year grant from the Koret Foundation. The 30-year-old San Francisco-based organization focuses on supporting anchor institutions in the greater Bay area and strengthening the Jewish community. Each student received a $1,500 scholarship and up to $500 for research expenses. Faculty and graduate student mentors also received stipends. 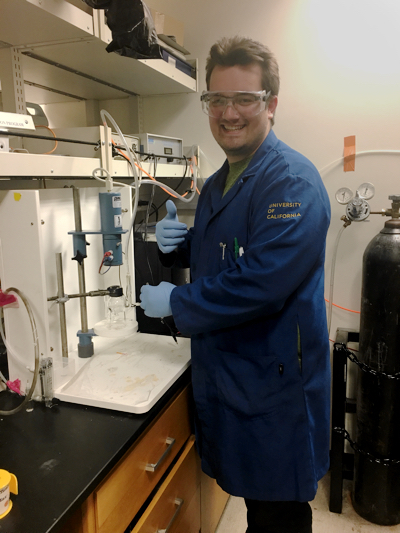 Forrest Nichols (College Nine), a chemistry major graduating in June with a minor in biology has been investigating an alternative catalyst that could be used in fuel cells and next generation vehicles. The scholarship funded each new experimental material and allowed him to focus more hours on school rather than on a part-time job. 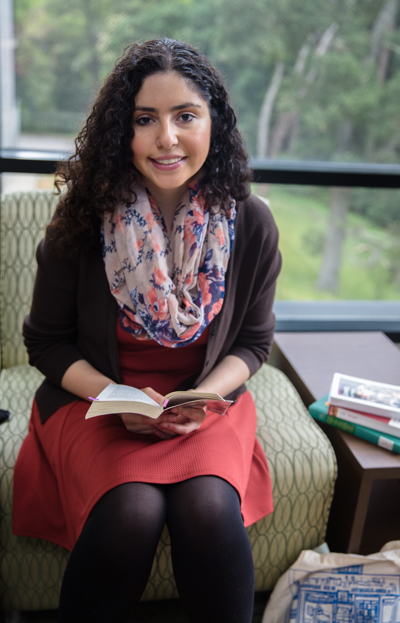 Krystal Mendez (College Nine), a graduating senior majoring in literature, used the scholarship money to help her hunt down the original translation of The Monk: A Romance, a Gothic novel published by Matthew Gregory Lewis in 1796. She found the much-needed 1797 French translation at the William Andrews Clark Memorial Library at UC Los Angeles and says it was central to her research on how the female body is portrayed and how perceptions of the female body begin to shift in each of three French translations. The scholarship program, which is sponsored by the divisions of Student Success, Undergraduate Education, Graduate Studies, and Humanities, is responding to a growing body of research that indicates undergraduate research increases student success outcomes and provides a better educational experience. One group of Koret scholars has created a survey to learn more about students’ experiences. “We’re trying to get at what those benefits of being a researcher are, especially for underserved students,” said Elyse Fischground (Merrill College), a Community Studies major who is one of three undergraduates involved with the Koret Scholarship Connection to Student Success project.